Russian lawmakers adopt bill on fines for athletes using doping | Russian Legal Information Agency (RAPSI). MOSCOW, April 11 (RAPSI) – The lower house of Russian parliament, the State Duma adopted a bill fixing fines for athletes violating anti-doping rules in a final third reading on Thursday. According to the draft law, fines are to be imposed for using, falsifying or attempting to falsify doping control as well as distribution of banned substances. Currently, Russian legislation provides administrative liability for coaches, sport medicine specialists and other types of specialists in the field of sport. The bill reads that fines for athletes, coaches and specialists for consuming doping may vary from 30,000 to 50,000 rubles (about $800). 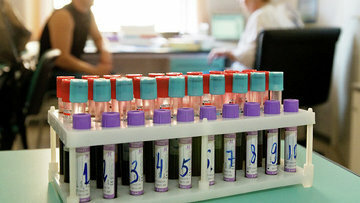 Moreover, athletes, coaches, doctors in sports medicine and other sports specialists distributing prohibited substances or methods in violation of anti-doping rules would face fines ranging from 40,000 to 80,000 rubles ($600 – 1,200).